June 3, 2016 Senior DFI David Blakey brought this Craigslist ad to our attention. Go to the ad for contact information. April 22, 2017. 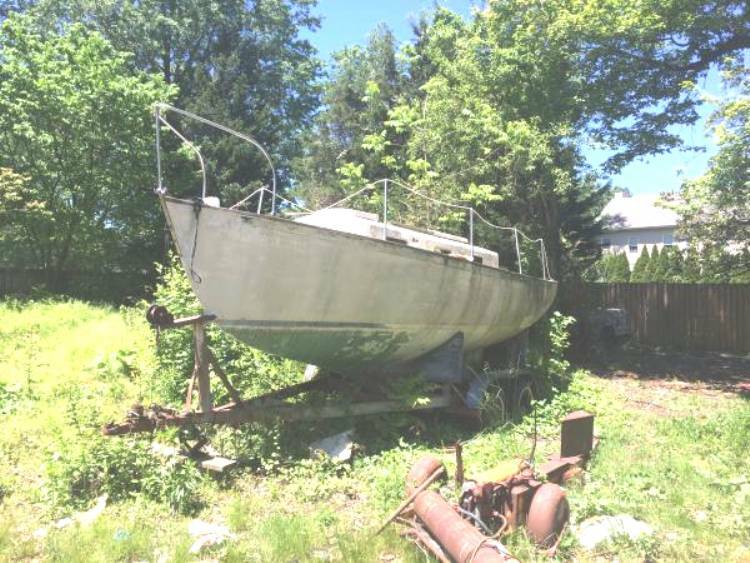 Thanks to a Dolphin 24 website reader we have started a search for this boat which has disappeared from the lot where she was stored. The house that was on this lot has been torn down so things do not look promising. Our reader, who lives nearby, sent in a photo he took some months ago - his picture is below. 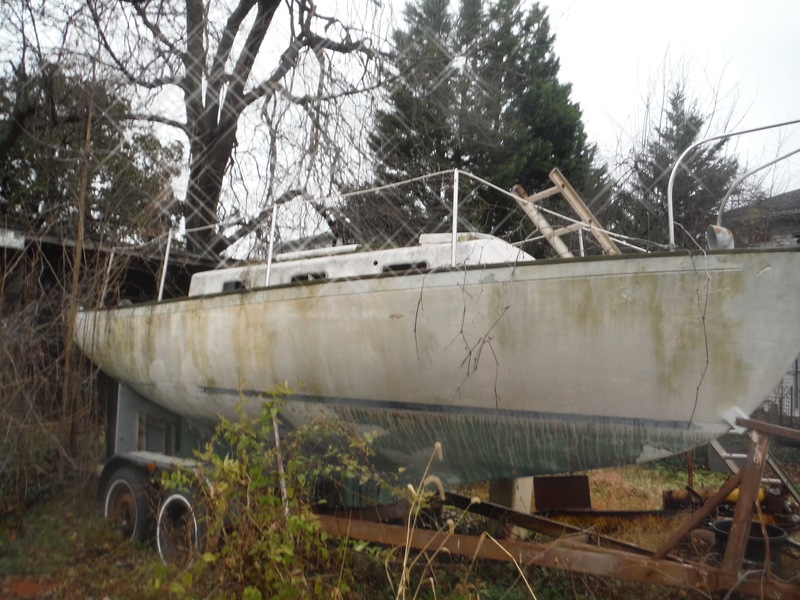 We also want to better identify the boat - probably an early O'Day Dolphin, maybe a Lunn built boat. Our reader advises she had an inboard.